The Ford F-150 will fulfill all of your towing needs. 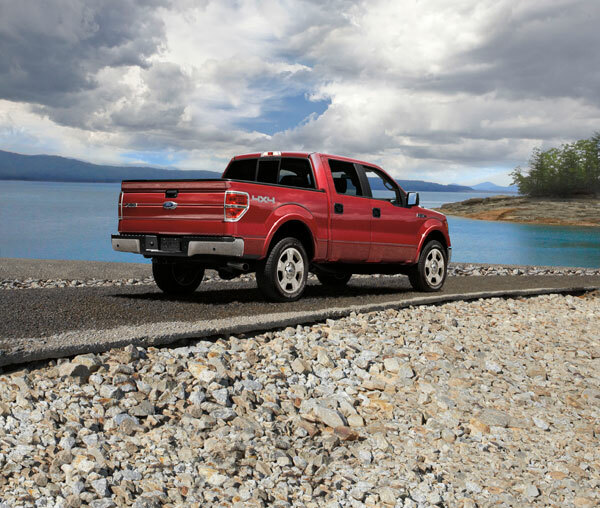 With a towing capacity of up to 11,800 pounds and a best-in-class payload capability, you’ll be able to bring all your camping equipment to the beach. A heavy duty tow strap, a vehicle jack, plywood board, a shovel, air pressure gauge, electric air compressor, fire extinguisher, and first aid kit are all essential truck camping equipment. Be sure to wax your truck and your trailer to protect your vehicles from salt air exposure. Make sure to have slightly lower air pressure than normal since you’ll be driving on the sand. Tires should be lowered to as low as 17 psi and as high as 25 psi. Once you’re on the sand, make sure to take your foot off the gas so as not to drive your vehicle into the sand and put your truck in four-wheel drive.